The Finnish Glass Museum is a specialist museum focusing on glass design and the history of glass. The museum has operated since 1981 in a renovated glassworks in Riihimäki. The renovation was designed by Tapio Wirkkala. The Finnish Glass Museum presents the history of glass dating back over 4,000 years and the 300-year history of Finland's glass industry. The collections consist mostly of Finnish household, design and art glass from the 18th-21th centuries. Temporary exhibitions are on show in the old glassblowing facilities. Exhibitions currently on view. The Friends of the Finnish Glass Museum is one of the oldest museum friends association in Finland and it has over 800 members. 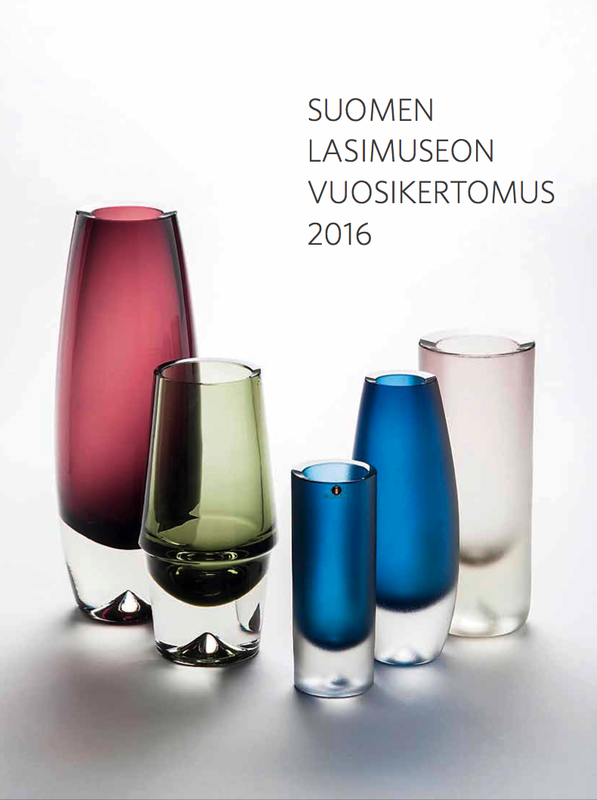 The association supports the Finnish Glass Museum’s activities. The Finnish Glass Museum was established at Riihimäki in 1961. 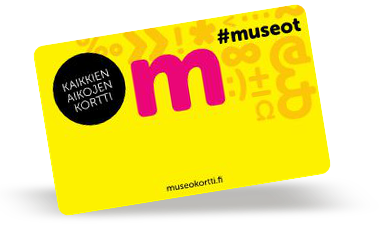 The museum collection was based on a collection of 500 objects and artefacts collected by the students of H‰m‰l‰is-Osakunta, the Häme Province Student Corporation or Nation. Opened to the public in 1965, the museum first operated in a villa known as Allinna in centre of Riihimäki. An example of the Danish manorial style Allinna was built by estate-owner Rudolf Gestrin for his wife Alli in 1919.The house was designed by the architect Oiva Kallio. The Finnish Glass Museum operated at Allinna until 1980. The Finnish Glass Museum moved into its present building in 1980. The facility was originally built in 1914 as a ground turf factory for the Paloheimo Oy company. In 1921, the Riihimäki Glassworks company converted the building into a glassworks. The building has also housed a plastics factory and silkscreen-printing plant, and most recently the crystal polishing department of the Riihimäki Glassworks. The present museum café is the old horse stables of the glassworks. The alterations of the building and the museum's permanent exhibition were planned and designed by Tapio Wirkkala, a legendary name in Finnish design and a member of the Academy of Finland. The permanent exhibition was opened to the public in 1981, in the tercentennial year of the Finnish glass industry. The museum has 1,700 square metres of exhibition space. The larger room for temporary exhibitions was previously the glasshouse, or glassblowing section, of the Riihimäki Glassworks. The Finnish Glass Museum is situated near the old Riihimäki Glassworks (1919-1990). After the plant was closed, new firms and companies moved into the premises, including Lasismi Glass Studio and Mafka&Alakoski Glass Studio. Less than a kilometre from the Museum is Hyttikortteli, a housing area built for the glass workers in the 1910s. The idyllic wooden and brick houses are now privately owned homes. The City of Riihimäki has sought to create here a living and functioning district for artists and craftspeople. Situated in Hyttikortteli is glassblower Pekka Paunila's Potti firm, a combined glassblowing studio and shop. Right next to the Finnish Glass Museum is the Hunting Museum of Finland. A few kilometres away, in the centre of Riihimäki and its near vicinity, are the Historical Museum of Riihimäki, the Riihimäki Art Museum and the National Workers' Housing Museum. The Finnish Glass Museum was located in the Allinna building from 1965 until 1980. The library of the Finnish Glass Museum is Finland's largest specialist library in its field. At present it contains over 8000 books, 1300 catalogues and over a hundred videos. The library and the museum's archives are intended for research purposes. The library is open during office hours, but users are requested to make an appointment. Aalto, Corning, crucibles, Diatret glass, Egyptian glass, filigreed glass, glass in mythology, glassmaking machinery, grinding, history of windows, history of Bohemian glass, Norwegian glass art, oil heating in glassmaking, optical glass sculpture, Pilkington, Ratina glassworks, sheet-glass processing, soundproofing glass, stemmed glass techniques, Still, Venetian glassmaking, Waldglas (forest glass), ≈vik glassworks. 666.17 Hollow glass. Glass vessels. Bottles. Pipes etc. 666.28 Engraved glass, ground and frosted glass. Processed glass, general. The collections of the Finnish Glass Museum contain Finnish glass from the early days of the country's glass industry to modern-day industrial production and design. The most representative parts of the collections are on show to the public in the permanent exhibition on the ground and upper floors of the museum building. The Finnish Glass Museum has about 40 000 objects in its collection. The number of photos, slides, and drawings are about 51 000.